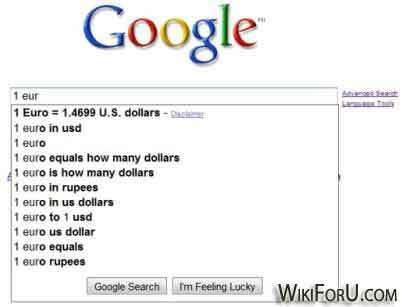 Google is the King of Internet and Technology. Now Google is updating their services and features for better user experience. The "Instant Search" is one of them. In this tutorial you'll learn what is this "Google Instant" and how you can use it. Also Read: What is Gmail Tap For iPhone & Android? Google Instant is a Search enhancement for faster search. With Google Instant enabled, you'll see the suggestions and results as you type. As the main feature of Google is speed. Google Chrome is one of the best examples of this. So they are improving the way we search. Now there is no need to type a full phrase or line and then hit enter...No , just start typing and you'll see Instant suggestions and the results will be shown more quickly. This feature is very good. As we wastes our time on typing full search terms and then pressing enter again and again and also the whole page is to be loaded again completely. But with Google Instant there is a new kind of process. Now just start typing your search terms and suggestions will load automatically and the results will be shown instantly. In this new process there is no need to load whole page completely for example page frame etc, which will result in less data transfer and in higher speed. The another benefit is that sometimes when we go for a search on Google, we exactly don't about technical terms of our search. So in Instant as we start to write, the suggestions will tell about related most popular searches and thus we can get better results. Now write any search terms like WikiForU.com , results page will be shown. Click on the settings button on right top. Click on search settings. Now look at third option that is about Google Instant. Here click on always on or ON when on faster connection. All other steps are same as above. When you go to settings page. Choose Always OFF to completely disable Google Instant. According to Google's Official statements, It is said that If every internet user uses Google Instant then there will be saving of 3.5 billion seconds in a day. There are 5 new technologies are used in this new enhancement. This feature will not affect any website's or blog's rankings. You can turn Off this feature anytime. Google also automatically turns it off when a slower internet connection is detected. The Google Instant is also available for smartphones or mobile phones. But now only Apple iOS and Android powered phones are supported. This doesn't slow the speed of your connection. In fact it automatically turns OFF when your connection's speed is slow.